Oxygen is the most important nutrient for life to happen. Patients with breathing difficulties such as Emphysema, COPD or Obstructive Sleep Apnea cannot get enough oxygen into their lungs. When their blood, brain and entire system does not oxygenate properly their life is at risk. Physicians generally prescribe portable oxygen concentrators for home use, and patients can finally breathe at normal rates and enough oxygen enters their lungs. The portable oxygen concentrators are extremely versatile and they help patients getting proper oxygen therapy at home or while traveling. For the latest technology, top quality portable oxygen concentrators, patients can log on to SleepRestfully.com. Here, they will have instant access to plenty of informational and educational resources about oxygen therapy, and to a wide range of products coming from brand names such as Philips Respironics, Devilbiss, Invacare or Fisher & Paykel. 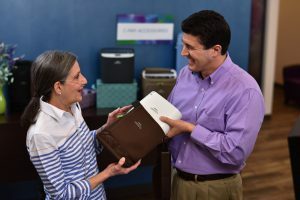 Patients purchase the portable oxygen concentrator based on a medical prescription. These devices take air from the ambient, run it through special filters, pressurize it and finally deliver therapeutic quality oxygen for the patients to breathe in. 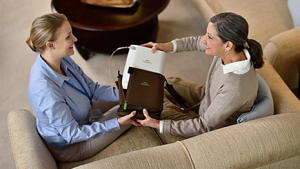 The portable oxygen concentrator improves the quality of life of the patients, allowing them to become more active and get more peace of mind while being on therapy. The portable oxygen concentrators can be used on planes, on trains, busses, in institutions, and virtually everywhere the patient needs to be and have proper therapy on the go. Portable oxygen concentrators can deliver Continuous Flow oxygen or Pulse Dose Therapy. In continuous flow mode the device delivers a constant burst of oxygen, regardless of the breathing rate of the patient. In Pulse Dose, the device will emit a burst of oxygen only each time a breath is initiated by the patient. Many patients have found the Pulse Dose oxygen concentrators even more efficient than continuous flow devices. However, Pulse Dose is not recommended for use during the night. 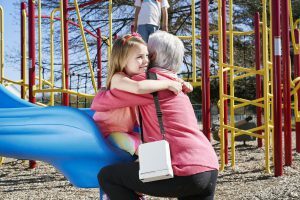 WHAT’S IMPORTANT WHEN INVESTING IN A PORTABLE OXYGEN CONCENTRATOR? The CPAP or BiPAP mask needs to fit perfectly. A mask that is loose will allow for mask leaks to happen and this will compromise the quality of the oxygen therapy. A mask which is too tight on the other hand might easily cause skin irritations and even lesions. Portable oxygen concentrator accessories include comfort pillows that allow patients to turn comfortably on any side while wearing the mask, rainout guards for CPAP machines, tubing wraps, flexible tubes, CPAP masks, nasal soft CPAP cushions and plenty more. Several years ago patients had to rely on oxygen therapy delivered through a tank system These oxygen therapy systems are somewhat mobile, but they were quite bulky, heavy and noisy. Since people want to be able to lead more active lives, and travel without boundaries, renowned companies started designing the more compact POCs- or Portable Oxygen Concentrators. A portable oxygen concentrator basically takes ambient air and transforms it into therapeutic quality oxygen for the patient to breathe in. The portable oxygen concentrators also filter air from dust particles, allergens and bacteria to ensure that patients receive medical grade oxygen. The air is pressurized, and after the main pressure or flow settings have been set, this oxygen is delivered to the patient through a special mask. more oxygen through the special cylinder. At SleepRestfully.com you are welcome to browse through the wide range of POCs from brand names such as Philips Respironics, Fisher & Paykel, Invacare or Devilbiss. Continuous Flow Concentrators – the oxygen is delivered on a continuous basis, depending on the LPM (Liters per Minutes) setting. The oxygen is delivered on a continuous flow, regardless of the breathing rhythm you have. Typically, continuous flow portable oxygen concentrators deliver 3LPM flow. The Pulse Dose Portable Oxygen Concentrators – the oxygen is delivered on intermittent basis, as you breathe. Whenever an inhalation is detected the machine will deliver a certain burst of oxygen for you to breathe in. The greatest majority of POCs are cleared by the FAA for use on a plane. However, policies differ greatly from one air Travel Company to the other, so it is important to make enquiries before the flight. An oxygen concentrator is required by a wide range of patients struggling with breathing difficulties. From Obstructive Sleep Apnea, to Emphysema and Lung Cancer patients, the travel oxygen concentrator helps them regain freedom of mobility and get efficient oxygen therapy. The market is invaded by all sorts of travel oxygen concentrators, but you should trust only devices designed and manufactured by reputable brands which have a positive history on the market. These brands include names like Philips Respironics, Inogen, SeQual or Invacare. SleepRestfully features a wide range of travel oxygen concentrators that you can choose from. Contact the friendly customer service portal for more valuable information. Chronic Obstructive Pulmonary Disease patients always require the use of a portable oxygen concentrator. These devices help them get enough oxygen into their lungs, and the most modern devices feature both Continuous Flow and Pulse dose oxygen therapy modules. The CPAP, BiPAP or travel oxygen concentrator that is most suitable in your case will be appointed by your physician. The doctor is also the one who will perform the necessary settings on the device such as the optimum oxygen flow that will allow you to breathe at normal rates without problems. Today’s innovative Travel Oxygen Concentrators are extremely lightweight and compact for more ease of use and efficiency. The FAA has also cleared many models of portable oxygen concentrators for use during flight. Some of the FAA approved portable oxygen concentrators include AirSep’s Focus, FreeStyle and reeStyle5, Inogen One, OneG2 and OneG3, or EverGo and SimplyGo by Philips Respironics. Years ago, oxygen patients have been mainly housebound because they had to use oxygen tanks and cylinders to get the required oxygen. Today, the travel oxygen concentrators are able to produce medical grade, therapeutic quality oxygen from ambient air. The devices are equipped with special filters which will keep outside allergens, dust and bacteria and deliver to the patient high quality and concentration oxygen for efficient therapy. Portable oxygen concentrators can improve your quality of life, and they represent a much more cost effective and safe solution than the concentrators which require liquid oxygen cylinders. These types of devices also represent the best choice if you want to enjoy peace of mind and comfort while traveling and getting oxygen therapy. The portable oxygen concentrators have the ability to transform ambient air into medical grade, almost pure therapeutic quality oxygen. SleepRestfully offers you top quality devices manufactured by leaders in the industry. The devices come with budget friendly prices, and you can perform a side by side comparison of the devices by using the special chart available on the website. Portable oxygen machines are quite maintenance free, they are lightweight and very quiet. It is extremely important to discuss with your doctor regarding which type of portable oxygen concentrator would best suit you current health needs. Some patients may even require supplemental oxygen therapy, where a special bleed in adaptor needs to be attached to the main device and thus the patients receive higher concentration oxygen. One single battery in a portable oxygen concentrator can last easily for up to 5 hours, while if you choosea double battery the device can perform for up to 8 or even 10 hours. Some of the most robust, efficient and easy to maintain POCs are the ones manufactured by leader brands in the industry such as Philips Respironics or Inogen. Whether used with an oxygen tank or not, portable oxygen concentrators should always be kept away from sources of heat and flame. Smoking anywhere near a POC is strictly prohibited. Dining out, shopping, traveling, camping, attending conferences, or longer road trips are now possible for patients with emphysema or other breathing disorders. However, POCs can be purchased only if you make proof of a valid prescription. Any health concerns that you might have, please discuss them with your physician. He is the one monitoring most closely your health status and he will be able to appoint the right type of oxygen therapy device that you need to use. Sleep Restfully, Inc. offers you the most well known brand names in the market from companies that specialize in the development of travel oxygen concentrators of the highest quality. Sleep Restfully, Inc. is also pleased to offer you these high quality devices at the most competitive prices on the market, since they deal directly with the suppliers of this type of equipment. 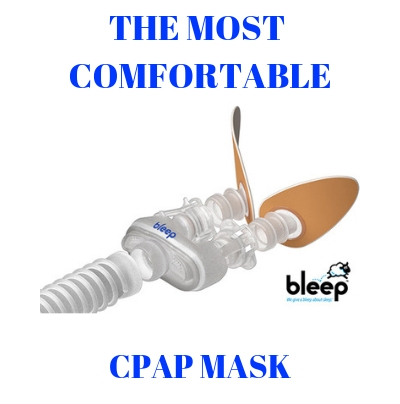 At SleepRestfully.com you will also find the greatest variety of latest technology accessories that will make your oxygen therapy even more convenient, compliant and efficient. Browse through the available products and contact customer service for any question you might have. Our friendly specialists are happy to assist with your enquiry anytime. can the portable oxygen be hooked up to a cpap during sleeping? You can connect up a Portable oxygen concentrator to a CPAP but ONLY if it is a continuous flow portable concentrator like the Respironics SimplyGo that will do continuous and pulse dose. You cannot use any POC that is only pulse does or on demand such as the Inogen One.